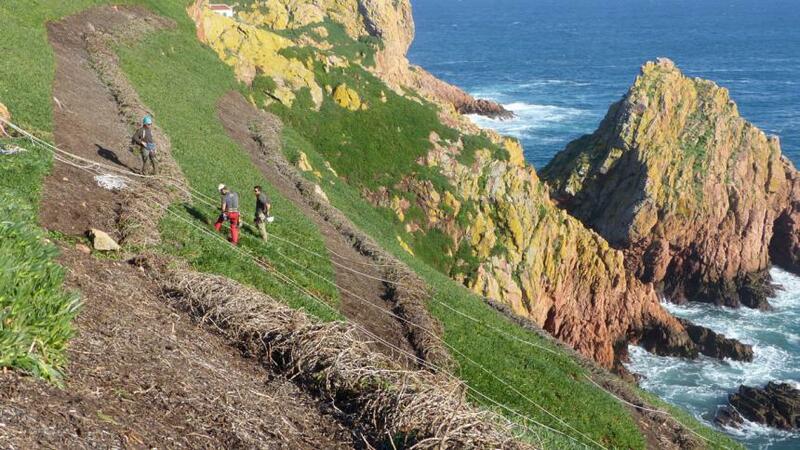 The degradation of Berlengas flora is due, among other things, to the expansion of the Hottentot Fig on the island. The Hottentot Fig is an invasive alien plant that was introduced in Berlengas for ornamental reasons. However, in a few decades large areas of the Berlenga Island have been completely covered with this plant, which prevent native species to establish. Even though very laborious, the manual removal is the most effective method to control the Hottentot Fig. Another challenge to the conservation of seabirds and native flora in Berlengas is the presence of Yellow-legged gulls. This species has shown a severe population increase in recent decades, from 5000 couples in 1983 to 45 000 individuals in 1994. This increase was due to higher food availability, easily obtained from landfills along the coast of Leiria and Lisbon, and from fisheries discards and waste in fishing ports. The species has become superabundant in Berlengas which led to the need for human intervention to lower the effective population and avoid the continuous degradation of the ecosystem. Currently, there are 13 000 individuals. The high density of Yellow-legged gulls causes changes on the soil chemical parameters due to excessive nitrification from their faeces, which leads to the death of plants such as the endemic Berlengas Thrift. 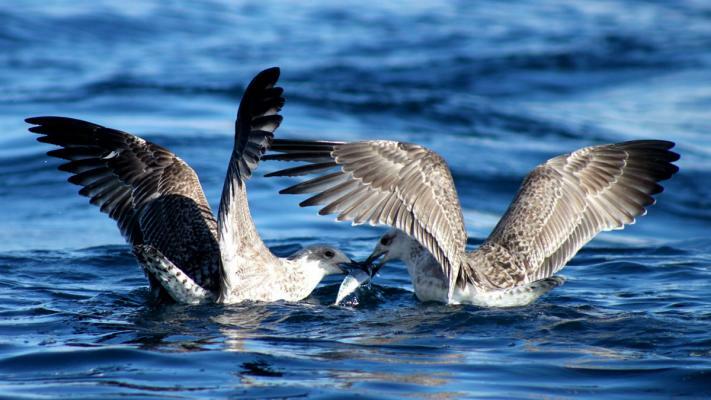 On the other hand, the gulls prey on Berlengas lizards and seabirds nestlings. In addition to the negative impact on the remaining biodiversity, Yellow-legged gulls are attracted to farmland, fishing ports and other urban areas on mainland, which contributes to frequent conflicts with human populations.